I was craving brownies the other day but couldn’t decide between a salted caramel version or Nutella peanut butter brownies. I will disclose that I made both and, of course, had to try at least one of each type. 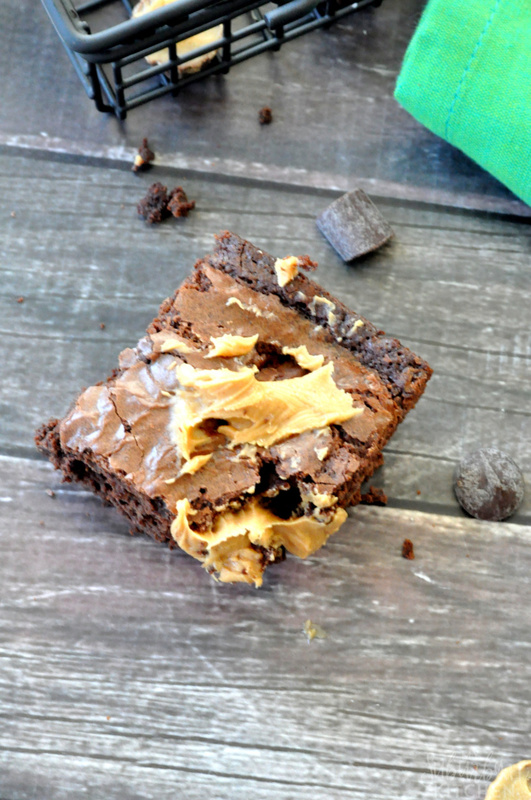 Salted caramel are my current favorite but I will always love the classic Nutella peanut butter brownies so I wanted to share them with you so you can fall in love too. 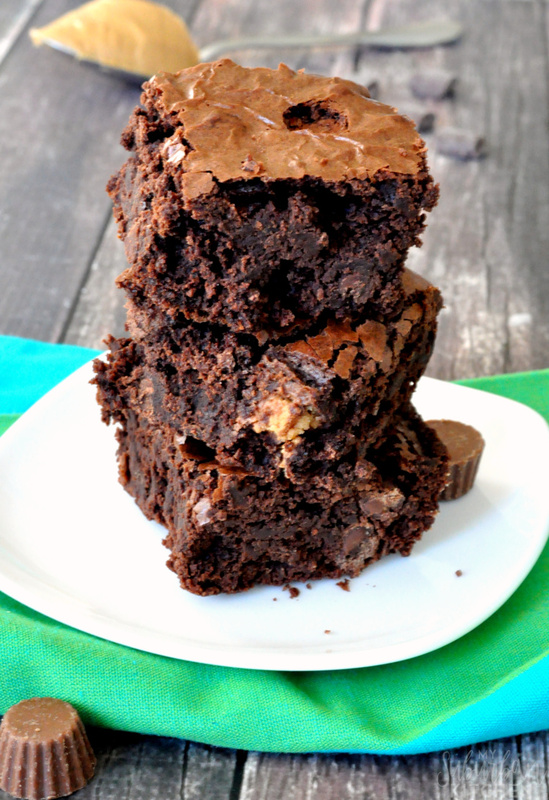 As with anything that has a combination of chocolate and peanut butter, these brownies are simply irresistible. 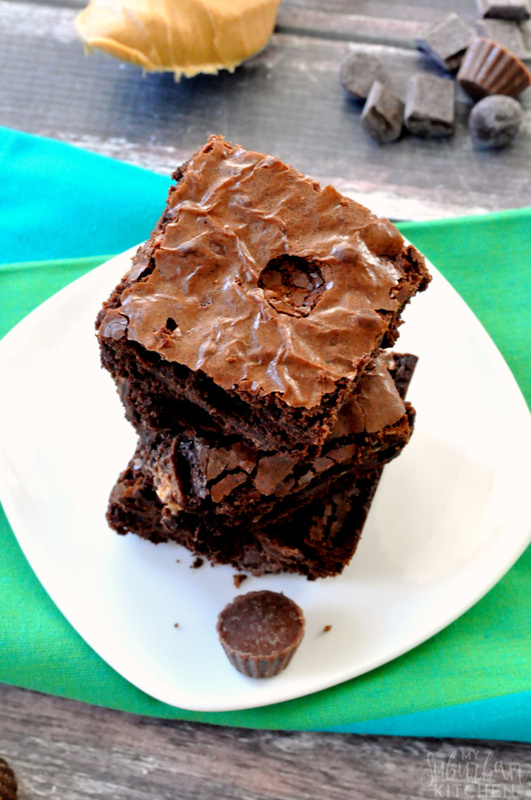 Plus, they are totally “cheater” brownies since they start with a box mix to keep things nice and easy. Don’t worry…no one will be able to tell once they done! 1. Preheat oven to 350 degrees. Spray a 9×9 baking pan with nonstick cooking spray. 2. In a large bowl, mix brownie mix, oil, and water until combined. Stir in Nutella. Once fully combined, fold in chopped Reese’s cups. 3. Pour batter into prepared baking pan. Bake according to package directions. 4. Remove from heat and let cook completely before slicing. Preheat oven to 350 degrees. Spray a 9x9 baking pan with nonstick cooking spray. In a large bowl, mix brownie mix, oil, and water until combined. Stir in Nutella. Once fully combined, fold in chopped Reese's cups. Pour batter into prepared baking pan. Bake according to package directions. Remove from heat and let cook completely before slicing. Thanks for sharing the recipe. I love that there’s only a few ingredients. That always makes it look a bit less daunting to me, especially when it comes to pastries or something that needs to be baked. I’m sure the kids will like this. They love nutella.